Here is a quick guide to Rosary resources available online from Benedictine College in Atchison, Kansas. Rosary Meditations: Brief meditations on each decade of the rosary to aid in prayer. Benedictine College Fatima Centennial Page: Sign up to lead the daily Grotto Rosary, pray along with Abbot James or Prioress Anne, and more. Four Reasons to Say the Rosary. Every. Single. Day. 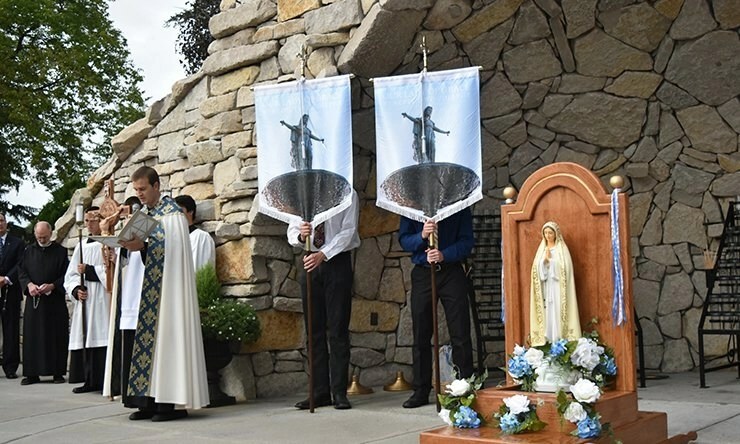 Get ready for Fatima … and for peace. Mary’s Grotto Page, featuring Benedictine College’s shrine. Mary’s Miracles, President Stephen D. Minnis on Our Lady’s blessings to Benedictine college. I Work at Our Lady’s College, a reflection on Benedictine College’s Marian connections.